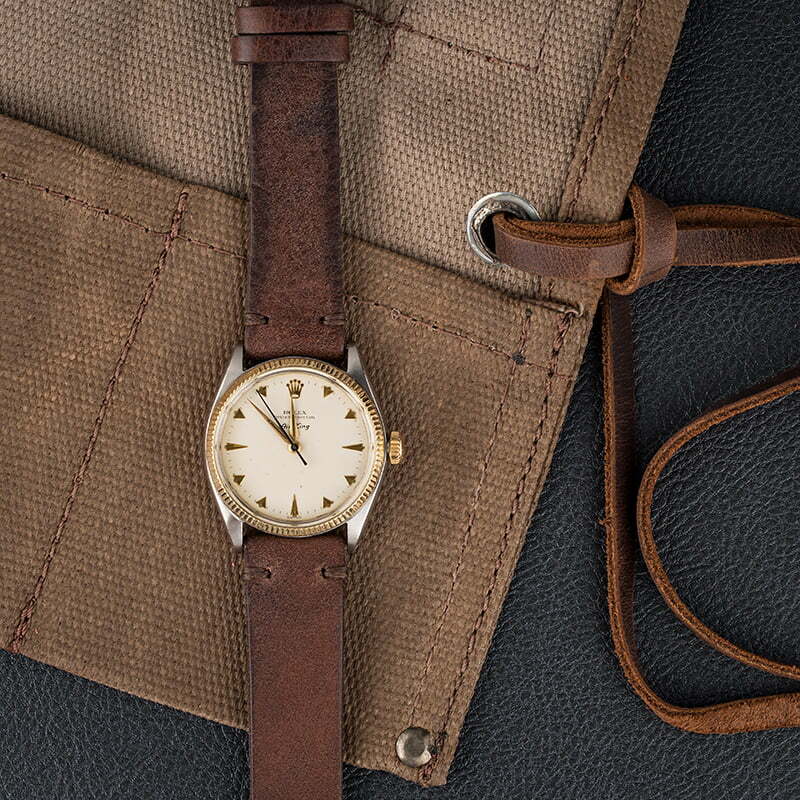 The Air-King 5501 shares its reference number with the Explorer. 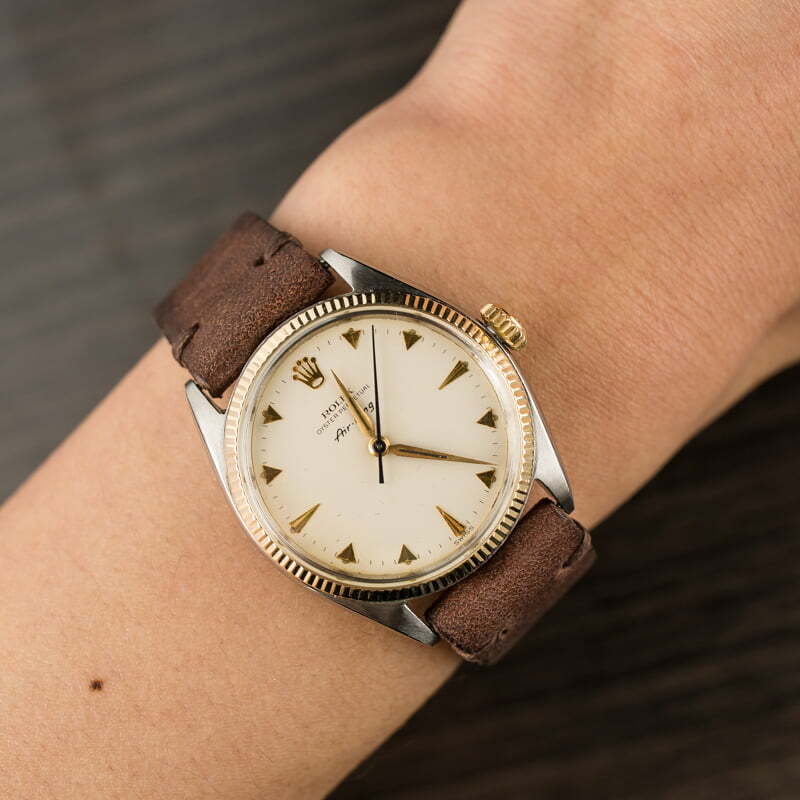 Both variations are similar in design and offer a stainless steel case, a fluted bezel in yellow gold, and a sophisticated time-only dial. The main difference between the two models is the wording on the dial. 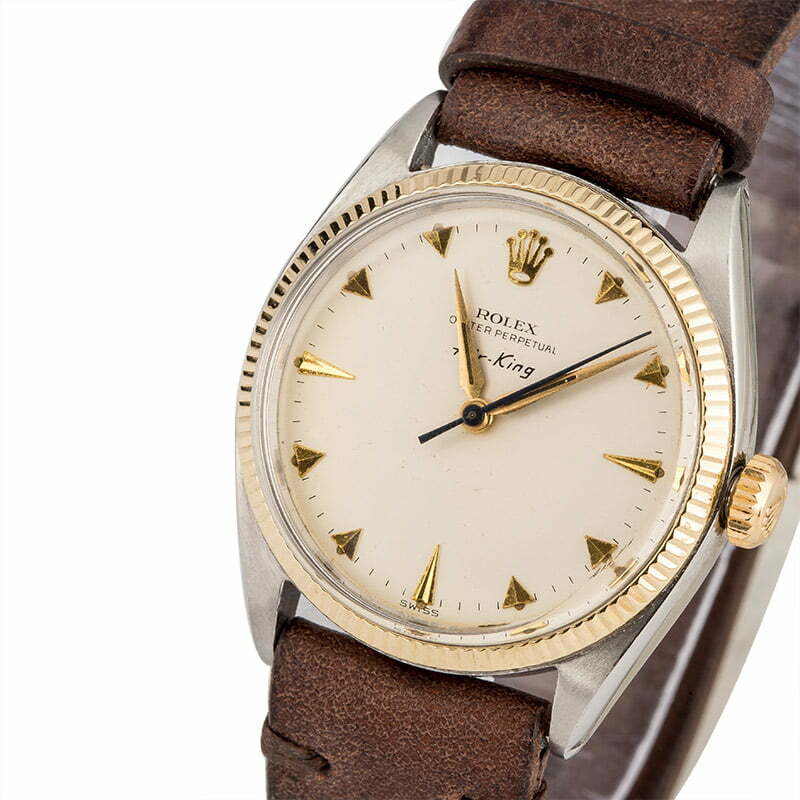 The vintage reference that is presented here today is an Air-King variant that displays the time via handsome yellow gold arrowhead and dagger hour markers, long, sleek dauphine hands, an older-style Rolex logo at 12 o'clock, and lume in a heavy patina. 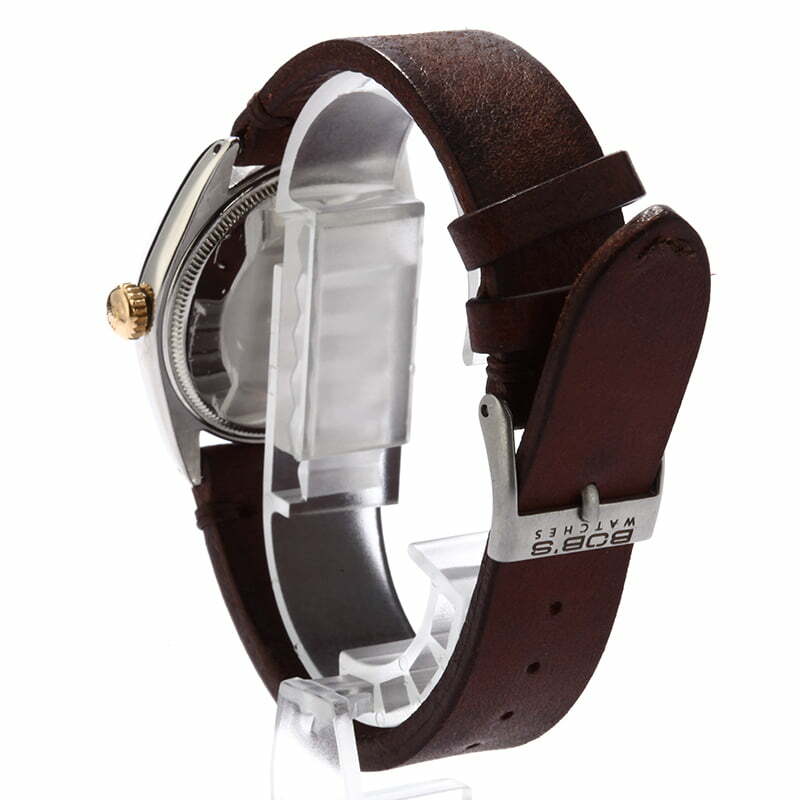 The case wears on a complimentary leather strap and maintains an attractive preowned Rolex price. The watch was perfect condition and matched the picture. My watch looks new and works like a Rolex. Bob’s delivered within 48 hours and the entire process was easy and smooth. 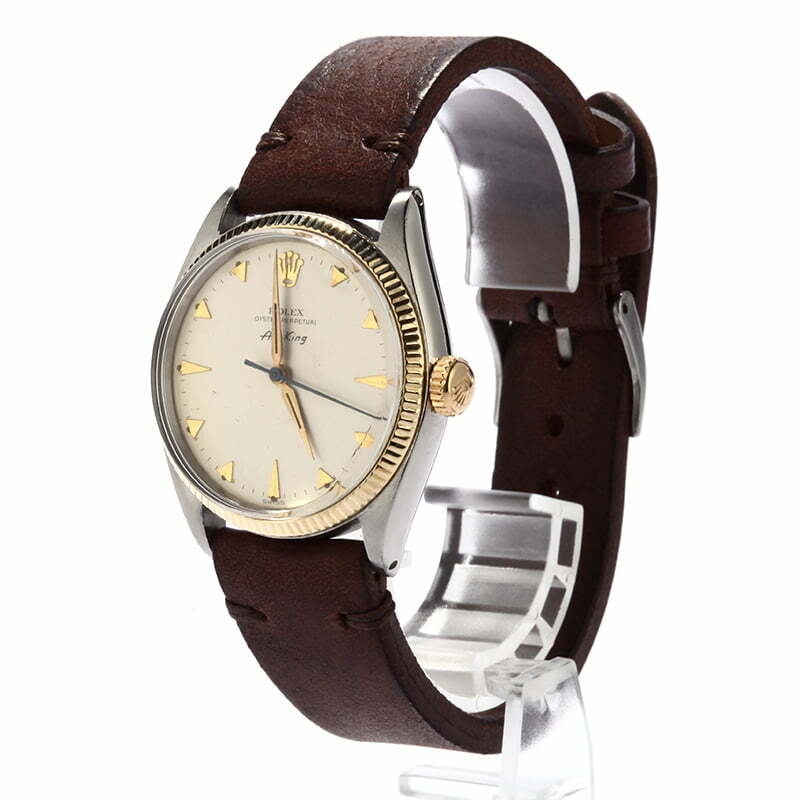 I have ordered two watches from Bob’s and I’m very satisfied.